The sizzling rock! I loved this. 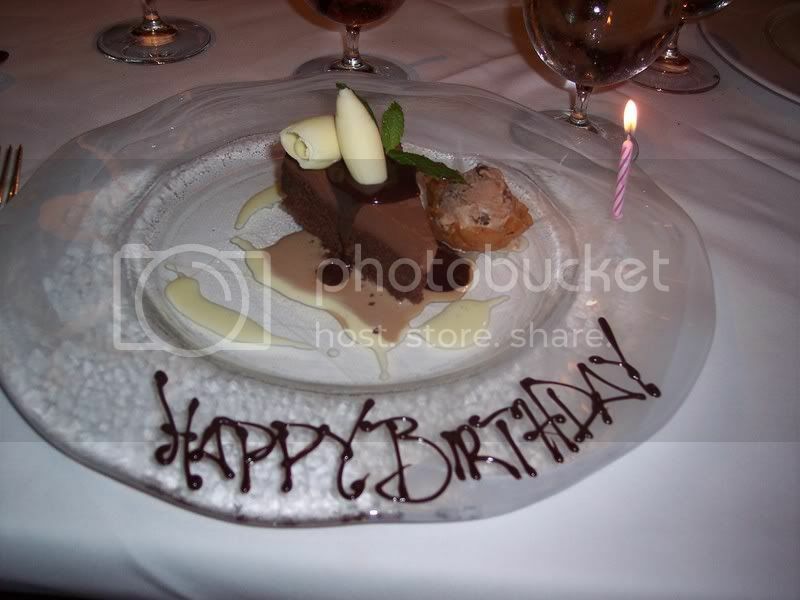 My birthday dessert from Napa Rose. Flourless chocolate cake. It was to die for. I fear this thread will slow down with Black in the world! 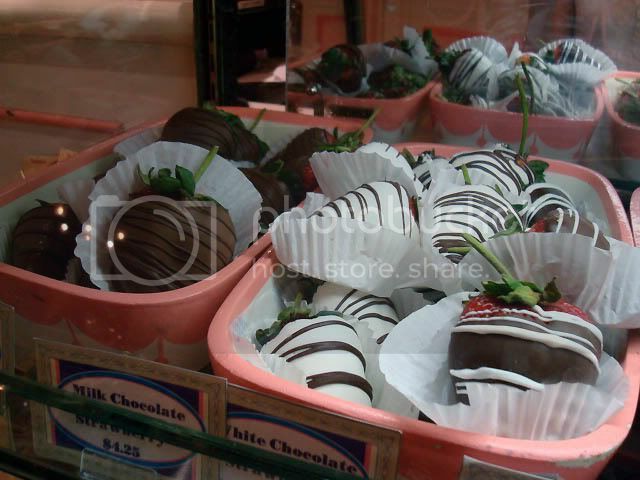 I need to try some new things on my upcoming trip as I think I've posted all my food **** pics. After engagement dessert at CRT. 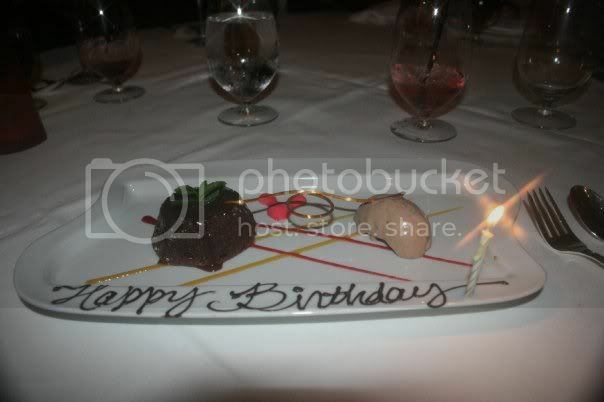 Another birthday dessert from Napa Rose a few years later. Cape May Cafe- the 1st four photos were my plates- don't know how I gained 8lbs while walking 80 miles in nine nights? 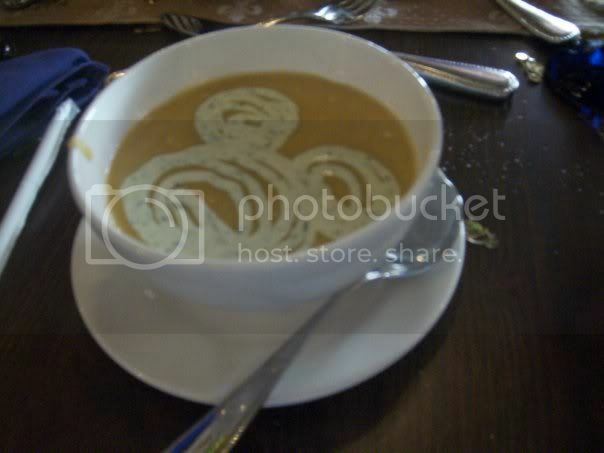 Does anybody have a picture of the HDDR food? We will going there for the first time in November and I would love to see what ribs and chicken and the Strawberry Shortcake I keep reading about! Oh food thread, how I've missed you. I've been in the process of moving and now I'm back online. 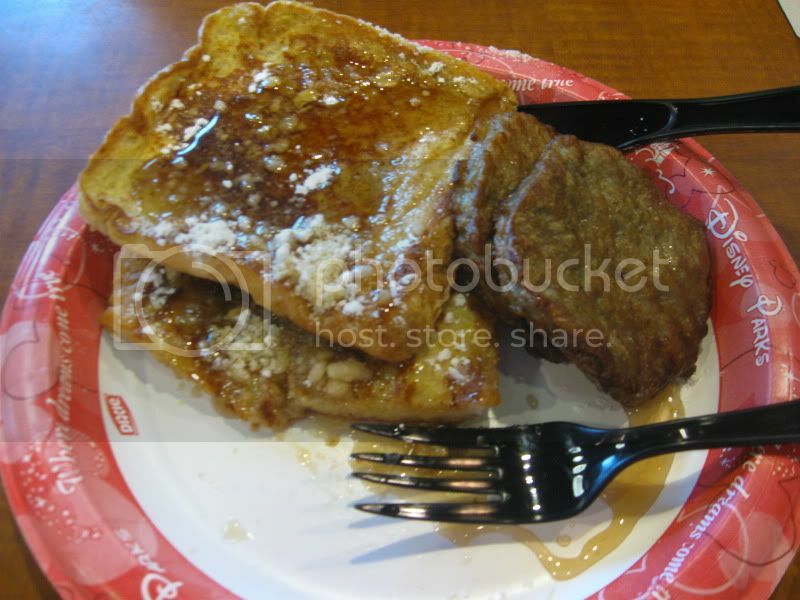 Where is the first place I head - to check out WDW Food pics of course. Thanks, guys! They were very good too!!! 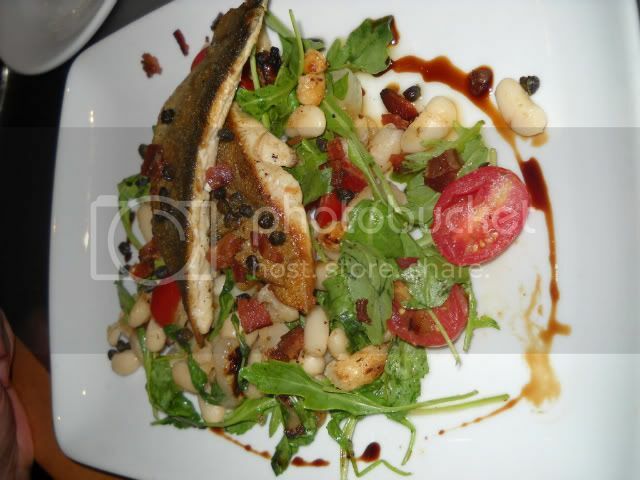 Seared Rainbow Trout with Warm Salad of White Beans, Arugula, Tomatoes, Crispy Bacon, Aged Balsamic Vinegar, and Brown Butter. This was DH's meal, but I snuck a few tastes--it was yummy! This salad is sooo delicious! !